One of my favorite things about baking it’s that it is extremely therapeutic. With cooking, your mind can wander — there is no recipe to follow, no chemistry to perfect. But with baking, you have to be tuned into the task at hand, paying close attention so as to get it just right. The recipe is a step-by-step guide of just what yo do, to create the densest brownies, the crispest cookies — there is no grey area, it’s all black and white. When my mind is running in a million directions, full of uncertainty and lot’s of “gray,” baking relieves the stress, even if it’s only temporary. To me, it is not only a passion, but a therapy. A few days ago, I bought a big container of strawberries, and wanted to find something to do with them. We had a big day of moving ahead, so I figured if I could incorporate the strawberries into a breakfast treat, that’d be best. 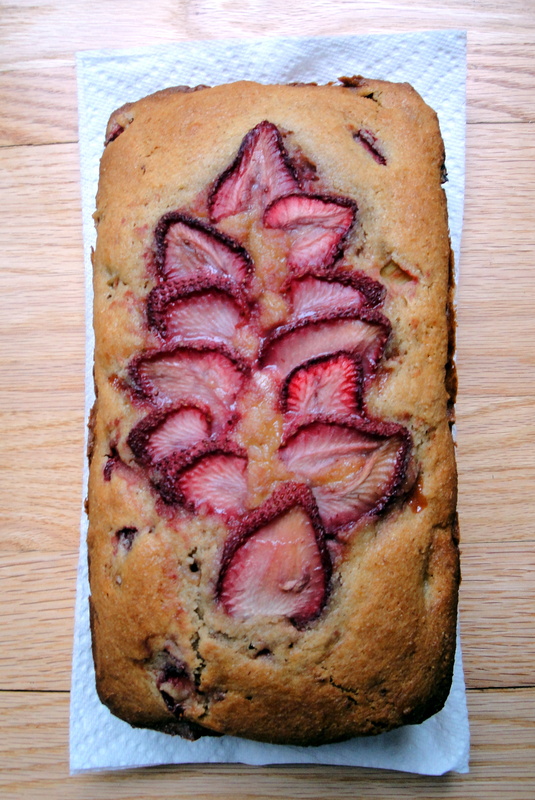 I found a bunch of recipes for quick bread with strawberries, but settled on the Strawberry Bread from Joy of Baking. It was extremely straight-forward, which I liked so that it’d showcase the fresh strawberries. 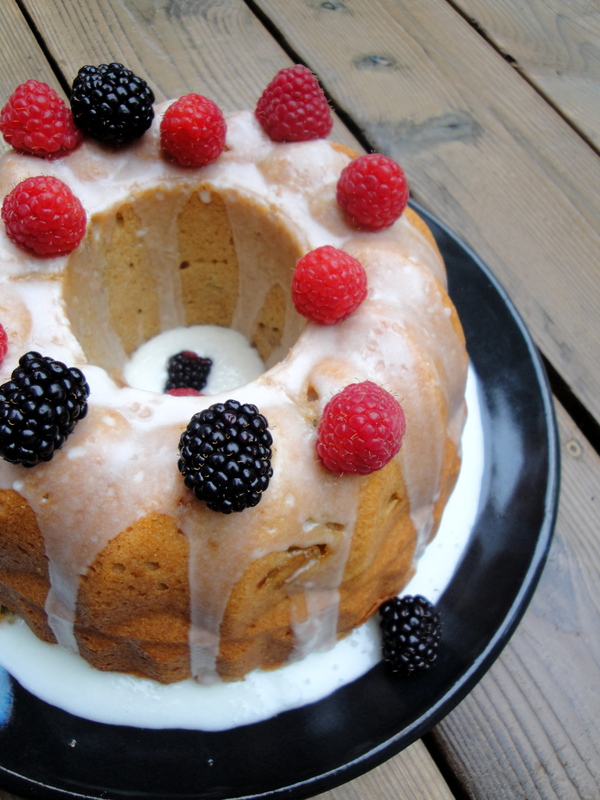 It was a simple recipe to follow, and the outcome was lovely! It’s a mildly sweet bread, perfect for breakfast with a big mug of coffee. It’s also pretty great toasted with a bit of butter — so enjoy however you’d like! I made it with half whole wheat flour, which gave it that slightly different, almost nutty flavor that whole wheat flour always does, though not in a bad way. Plus, it keeps for a few days, if you can resist eating it for that long! I’m taking a break from unpacking in the new apartment, so I’ll let you make your way to the recipe this time — I made no changes, except substituting half the flour with whole wheat flour! (And putting some sliced strawberries on top, which may look nice, but it a horrible idea because the bread doesn’t bake under all of that moisture…oops!) 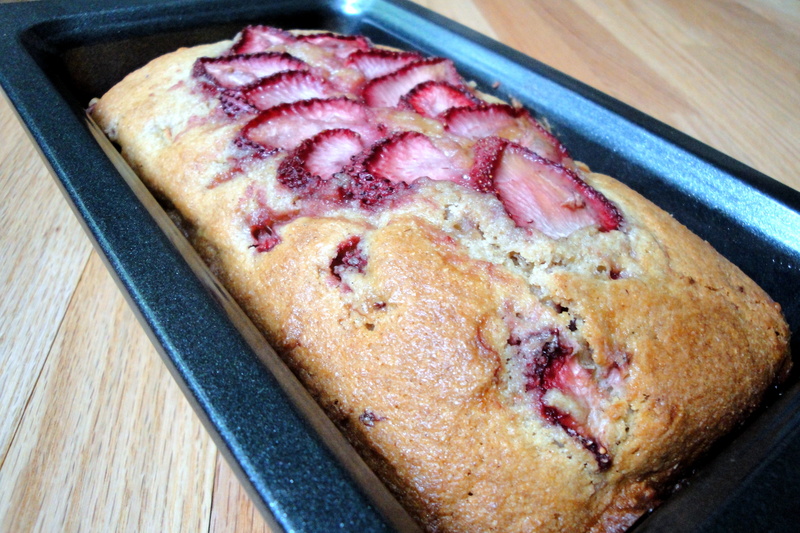 Strawberry Bread recipe. YUM. The night before the Strawberry Bread morning, I made the Lemon Rhubarb Buttermilk Cake recipe that I made a couple of weeks back, as per my Mom’s request. I added more rhubarb this time, and it was delicious again. We had guests over for dinner, and they brought a Chocolate Mocha Cake with Chocolate Buttercream (an Ina Garten recipe, I guess), so that night and for several nights after, we all had TWO slices of cake EACH for dessert. Oy vey. They were SO DELICIOUS though. 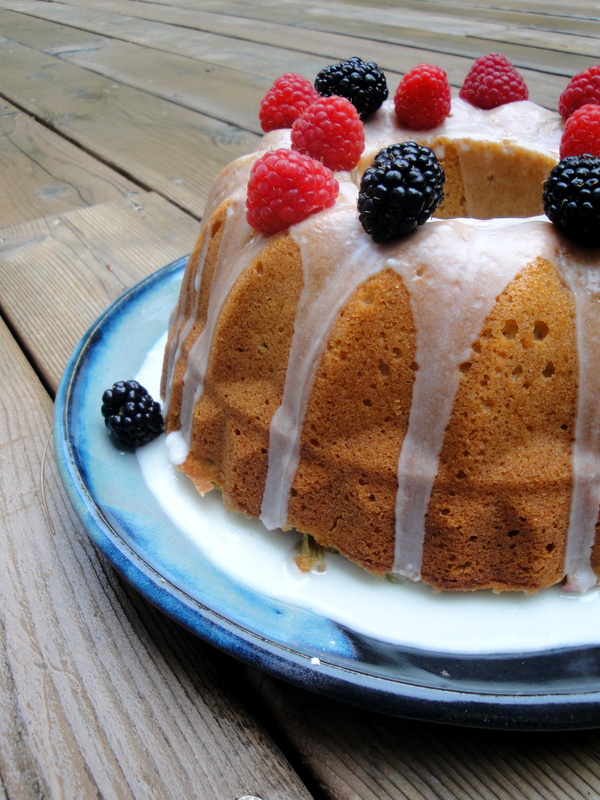 And this is just one more plug for the Lemon Rhubarb Buttermilk Cake. It is SERIOUSLY fantastic. Seriously. I’m so backed up on recipes right now, but I’m into the new apartment, and settling in fast! 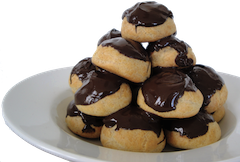 So I’ll update again soon, with some yummy treats! Until then… with love and sugar. Enjoy!